Breathtaking and beautiful, this 12-month calendar is designed with awe-inspiring, professionally photographed landscapes of the picturesque island of Nantucket. Marked with all major holidays and moon phases, this essential tool has ample room to note appointments, meetings, and special events. Capturing the exceptional core of an island whose population swells to nearly five times its size in the summer months, this calendar makes a handsome addition to the walls of island dwellers and visitors alike. 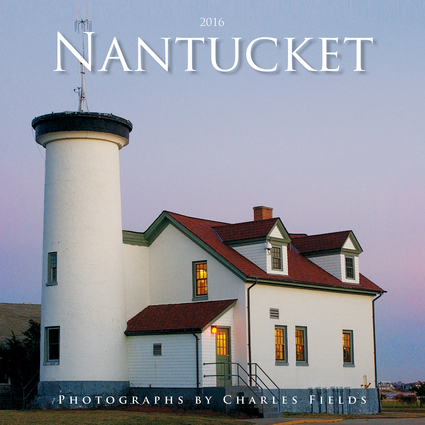 Charles Fields is a photographer with more than 40 years of experience and a member of the Photography Arts Collective, the Provincetown Art Association, and the American Society of Media Photographers Inc. He is the photographer and author of Cape Cod and the National Seashore, Carnival–Provincetown, Provincetown and the National Seashore, Nantucket, Martha's Vineyard, Vietnam Journeys, Provincetown, Truro, Wellfleet, The Lower Cape and Cuba Journeys. His work has been featured in numerous shows and galleries in New York and throughout New England. He lives in North Truro, Massachusetts.